PUBIC OPEN DAYS – Here’s the page for Public Open Days at Mayo – basically every Sunday from now until September 24. The arrangement for windsurfing on public-open days is to drive along the road in the park, past the normal car top launch, to the top of hill, drop your gear off on the farthest-most driveway on the left, then park in the large lot up there. Absolutely NO sailing in the swim area, ie the area we have typically used at mayo, or near swimmers wherever they may be! 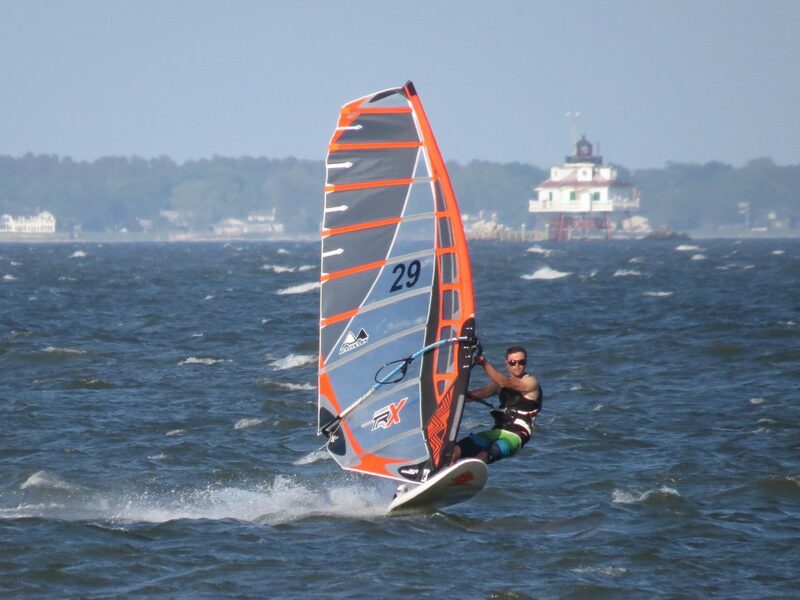 This has been their biggest concern about windsurfing in the coming era of public swim beaches. ACCESS DURING THE SUMMER CAMPS – Access is prohibited during summer camp hours – generally weekdays until 3pm. I’ll update this page with the information as soon as it is available. Please do what you can to protect our access by understanding and respecting ALL rules at the parks. Windsurfers and other car-top boat users can use Mayo 7 days a week once they are registered. The “normal” launch is the first left after going through the big park gate. The entrance to the “normal” launch is secured with a chain and lock which is why one needs to register and get the combination from AA Co. There are different rules for Public Open Days, which are Sundays (see above for which launch to use), and Camp Days, which are weekdays during the summer. I’ll post an update when Camp Days information is available but in the past Camp has been held on weekdays and there’s no access until after 3pm or so during Camp Days. On Camp Days the “normal” launch can be used after camp is over for the day.